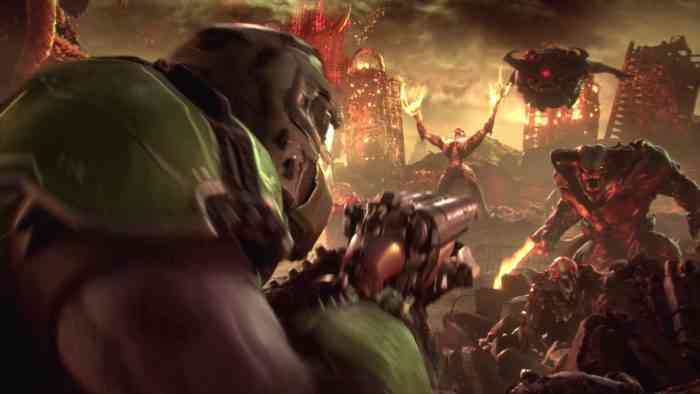 Doom Eternal and other Bethesda titles are going to be showcased at E3 2019 on June 9th, Bethesda announced on Monday. Notably, only the upcoming Doom game was explicitly named in the announcement. Aside from Doom Eternal, what else could Bethesda be planning to show? Well it’s been known since the previous E3 that the upcoming co-op shooter Wolfenstein: Youngblood is launching in 2019 so it is possible that it could get a gameplay reveal at E3 2019. Bethesda could also tease the upcoming Wolfenstein 3 that is currently in development. There’s also more of Fallout 76’s upcoming content that Bethesda could showcase and maybe some more info on upcoming games like The Elder Scrolls 6 and Starfield could be revealed. What do you think of this news? Do you have any theories about what games aside from Doom Eternal that Bethesda is planning to show at E3 2019? Go ahead and speculate in the comments section below.